Monday, October 29, 2012 ratings — Original episodes: The Voice, Dancing with the Stars, Revolution, and Castle. Sports or specials: Hurricane Sandy coverage. Repeats: How I Met Your Mother, The X Factor, 90210, Partners, 2 Broke Girls, Gossip Girl, and Mike & Molly. Due to Hurricane Sandy hitting the East Coast, CBS, FOX and The CW opted for repeats. Many stations on the East Coast also aired local news coverage. Because many people didn’t expect this, the reruns may have had better ratings than usual. On NBC, The Voice attracted a 5.0 rating in the 18-49 demographic (up 16% when compared to last week’s episode) and 12.8 million total viewers. It was followed by Revolution with a 3.1 rating (-6%) and 8.4 million. On ABC, Dancing with the Stars drew a 2.7 demo rating (+13% week-to-week) with 13.5 million viewers. Castle saw a 35% boost in the demo, landing a 2.7 demo rating with 12 million. On CBS, we had two hours of reruns — How I Met Your Mother (2.4 rating with 7.3 million), Partners (1.8 rating with 5.5 million), 2 Broke Girls (2.5 rating with 7.5 million), and Mike & Molly (2.2 rating with 6.9 million). A hurricane news special then drew a 2.1 rating with 8.0 million viewers. On FOX, there was no World Series game so we had an X Factor clips show. That attracted a 1.0 rating in the demo with 2.7 million total viewers. On The CW, an encore of 90210 attracted a 0.4 rating with 1.0 million and a Gossip Girl rerun drew a 0.3 rating with 0.7 million. What do you think? Do you think the hurricane ended up helping or hurting the ratings last night? What were you watching? will be showing it again? 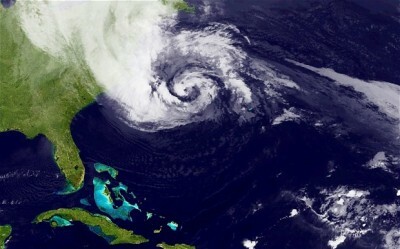 Hurricane Sandy had to be the most interesting thing to show on TV Monday. I hope all those impacted recover soon. If anyone missed the new episode of Castle last night it is too bad because it was exceptional!! This is about the best written and acted series on tv right now!! I hated it. Like anyone would believe Castle was the murderer. They sure turned on him in a hurry. I thought the writing was awful.